Sebastien joins us for his 6th consecutive year and as Event Co-Chairman is an invaluable asset to our success. Sebastien has competed in virtually every major sports and open wheel racing series in the world. His extensive resume includes 4 consecutive Champ Car titles ’04-’07 with 31 wins, and the record for most wins in a season. He did a stint in Formula 1 in 2007-08 with Toro Rosso. He had 12 starts at the 24 Hours of Le Mans, with 3-2nd place finishes and a 1st in LM GTE Pro class in the Chip Ganassi Ford GT in 2016. He has 12 starts at the 12 Hours of Sebring with a 1st and two 2nd overalls and a 1st and 2nd in class. Sebastien has 11 starts in the Rolex 24 Hours at Daytona with wins in 2014 and 2017 and a 2nd in class in 2018. In 2017, after a very successful start to the season with a 1st in class at the 24 Hours at Daytona and a win at the IndyCar season opener at St. Petersburg, Sebastien experienced a horrific crash while qualifying for the Indy 500. Sebastien miraculously recovered over the summer in time to come back to the IndyCar series for the last 3 races of the season. In 2018 Sebastian again won the Verizon IndyCar Series opener at St. Petersburg with Dale Coyne Racing Technology and drove the Chip Ganassi Ford GT car in the 24 Hours at Le Mans, Rolex 24, 12 Hours at Sebring and Petit Le Mans distance races. Sebastien starts off the 2019 season at Daytona with Chip Ganassi Racing and at the Firestone Grand Prix of St. Petersburg, NTT IndyCar series race with Dale Coyne Racing hopefully with a win again this year. Scott joins us again for the third consecutive year to help the kids at All Children’s Hospital. Scott also started in Karts as a kid and was very successful like most of our Pro-drivers. This year Scott starts his 18th consecutive season with Chip Ganassi Racing, a team record, in the Verizon IndyCar Series. Scott has the distinction of having the most wins of any active IndyCar driver with 44 wins. Scott is a 5 time NTT IndyCar Series Champion in 2003, 2008, 2013, 2015 and 2018 as well as winning the Indianapolis 500 in 2008. Scott and the Chip Ganassi team won the Rolex 24 Hours at Daytona in 2006, 2015 and GTLM class in 2018 with a second place overall in 2011. In 2016, Scott and team drove the Chip Ganassi Ford GT to a 3rd place finish in the 24 Hours at Le Mans. Scott is off to another great season with a good showing at this year’s 2019 Rolex 24 at Daytona and looking forward to another winning season with the Chip Ganassi IndyCar team. James is joining us for his third year to help the kids at All Children’s Hospital. James started racing Karts when he was 5 and graduated to SCCA club racing in several series from 2008 through 2011. James got his first professional drive in an LMPC Oreca in the American Le Mans Series in 2012 and again in 2013. 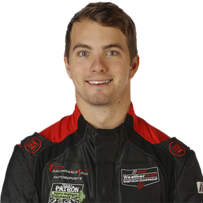 James joined Performance Tech Motorsports in 2014 driving 5 races in P2 cars in the USCC and 9 races in 2015 with 5 podium finishes. In 2016 James continued in Prototype Challenge cars with Performance Tech Motorsports competing in 11 races with 6 podiums and a pole at Road America. 2017 was a banner year with a 1st in class finish at the Rolex 24 Hours at Daytona, competing in 8 races scoring 7 wins and 8 podiums and 7 pole positions. During the 2018 season with Performance Tech Motorsports the team moved up to the Prototype class in the Weather Tech SportsCar Championship series. James and the Performance Tech team will run in the IMSA Prototype Challenge LMP-3 class in 2019. Jan returns for his 7th consecutive year to support the kids at All Children’s hospital and has been a member of the K4K Race committee for several years. Jan’s impressive racing resume includes Champ Car, ALMS, Rolex Grand-Am, Tudor United Sportscar Series, FIA GT3 European Championship, Continental Tire Sportscar Challenge and many European series. In 2014 and 2015 Jan paired up with Madison Snow in the Wright Motorsports #58 Porsche in the highly competitive GTD Class of the USCC series. Jan helped the team take two consecutive 3rd place finishes at the Rolex 24 Hours at Daytona as well as two other podium finishes. In 2017 Jan competed in the Rolex 24 at Daytona in the TRG Porsche GT3 R. Jan also drove in the Pirelli World Challenge SprintX GT Pro-Am series for Wright Motorsports finishing in 2nd place overall with 4 wins and 7 podiums. Jan currently races the RS1 Porsche 718 GT4 Club Sport in the GS class of the IMSA Michelin Pilot Challenge. Trent is back for his 6th year helping the kids at All Children’s Hospital. 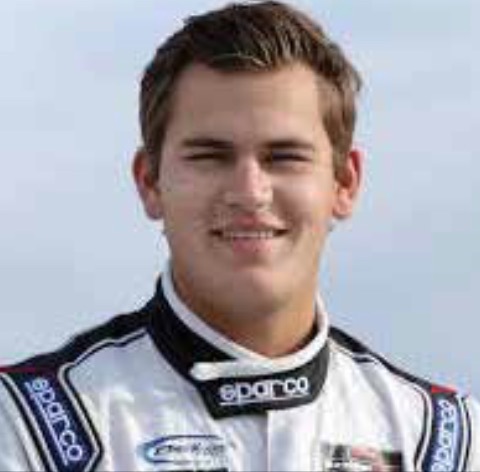 By the time Trent was 18 he had competed in the USF2000 Road to Indy Series, won a Team USA Scholarship, placed 2nd in the GT-2 SCCA Na­tionals, scored 8 wins in the SCCA US Majors Tour and competed in 5 races in the Continental Tire SportsCar Challenge with Fall Line Motorsports. In 2014, continuing with Fall Line and still 18, Trent placed 2nd in GS class at both the Rolex 24 at Daytona and Sebring, on his way to winning both the Driver and Team GS Class Champion­ships in CTSCC with wins at Mazda Raceway and COTA. In 2015 Trent placed third in the GS Team Championship with a win at Road Atlanta. In 2016 Trent won the Blancpain Lamborghini Super Trofeo North America Pro-Am Class Championship and the SCCA National Runoff Championship in GT-2. In 2017, Trent drove the Body Motion Racing #12 Porsche Cayman GT4 GS to a 3rd place in the CTSCC and was the Pirelli World Challenge SprintX GTS Pro/ Am Driver’s Champion with Case-It Racing. In 2018 Trent finished 3rd in GTD class at the Rolex 24 with Paul Miller Racing and raced in the CTSCC GS class with Volt Racing. This year Trent is racing IMSA GTD with Meyer Shank Racing in the Acura NSX GT3 Evo and with the Park Place Motorsports Porsche 718 Cayman GT4 Clubsport in the Michelin Pilot Challenge GS class. This is Tony’s third year in our Pro-driver lineup, but he is no stranger to those who follow IndyCar and SportsCar racing. Tony returns this year for his 22nd IndyCar season driving the A.J. Foyt Enterprises #14 IndyCar. Tony is the all-time IndyCar leader in most consecutive starts at 302, going back to 2001 and has 132 top-five finishes and 17 IndyCar wins. Tony became the first driver to com­pete in every possible lap in a season on his way to winning the 2004 Verizon IndyCar Series Championship. Tony won the Indianapolis 500 in 2013. Tony won the Rolex 24 Hours at Daytona in 2015, competed in 2016 and 2017 all for Chip Ganassi’s Ford Race team. In addition, Tony raced in the 2017 and 2018 24 Hours of Le Mans for Chip Ganassi. Tony’s first race of the 2019 season will be the Fires­tone Grand Prix of St. Petersburg NTT IndyCar Series. Patrick Long, is our Event Co-Chairman and has been an ardent supporter since it’s inception eight years ago. Patrick is a Porsche factory driver and is the only American to hold that distinction since 2003. 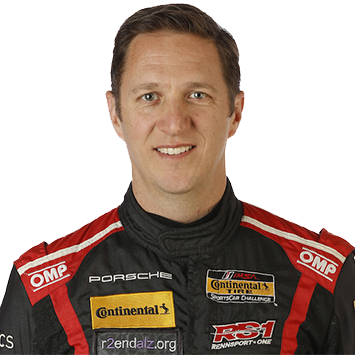 Patrick is a three-time ALMS GT driver’s champion (05,09,10), Pirelli World Challenge GT Drivers Champion (2011. 2017), two time class winner at the 24 Hours of Le Mans (2004, 07), Rolex 24 At Daytona win(2009), two 12 Hours of Sebring wins(2005,2014), three wins at the Petit Le Mans, a class winner at the 2013 SCORE Baja 1000 and a class win and P2 overall at the Liqui-Moly 12 Hours of Bathurst. Patrick teamed up with Patrick Dempsey in 2013, 2014 and 2015 at Le Mans culminating in a GTE 2nd place finish in 2015. In 2015, Patrick drove in both the WEC series GTE class with Dempsey-Proton Racing, scoring a first place finish at Fuji, and in IMSA with the #17 Falken Tire Porsche team. In 2016 Patrick placed 2nd in GTD class at the 24 Hours at Daytona with Black Swan Racing and took 2nd place in the Pirelli World Challenge GT Series Championship driving the Porsche GT3 R with 3 wins. He also drove in the FIA-WEC series in GTE-AM with Abu Dhabi Proton Racing. 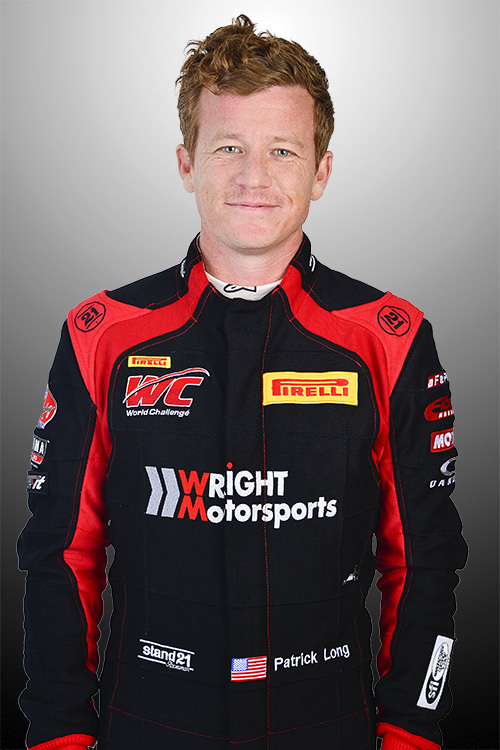 In 2017, driving the Porsche GT3 R for Wright Motorsports in the Pirelli World Challenge GT series, Patrick won the GT Sprint Championship, the Overall GT Drivers Championship, the GT Manufacturers Championship for Porsche and the GT Team Championship for Wright Motorsports. The team moved to the GTD class in the WeatherTech SportsCar Championship in 2018, scoring a win at Road America. Patrick will continue with Wright MotorSports in the Blancpain GT World Challenge America series and has joined the Park Place Motorsports team competing in the WeatherTech SportsCar series for the 2019 season. Takuma Sato makes his first appearance at the Kart4Kids Pro-Am Kart Race this year to help the kids at All Children’s Hospital. Takuma started his racing career in Japan racing in Formula 3, and between 1998 and 2001 he raced in various British and European open wheel series before winning a seat in Formula 1. During Takuma’s 8 year F1 career he drove for several teams including Lucky Strike BAR Honda(2001-2005), scoring a podium finish in 2004 at the US Grand Prix. From 2006-2008 Takuma drove with the Super Aguri F1 Team and then Scuderia Toro Rosso. 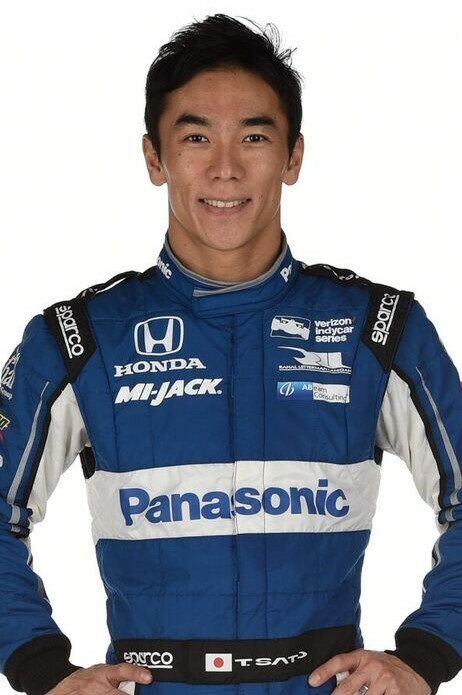 Takuma moved to the IndyCar Series in 2010 when he drove his first season with KV Racing Technology. He moved to Rahal Letterman Lanigan Racing in 2012. Takuma drove for the AJ Foyt Enterprises team 2013-2016, scoring his first IndyCar win at Long Beach in the 3rd race of the 2013 season. Takuma joined Andretti Autosport for the 2017 season and won his first Indy 500, making Sato the first Japanese driver to win the race. Sato moved back to Rahal Letterman Lanigan Racing for the 2018 season. Spencer is back for his second year with us in the Pro-driver ranks and like so many of the Pro-drivers who support our event he too started in Karts. After a successful youth karting career Spencer joined the Mazda Road to Indy series. 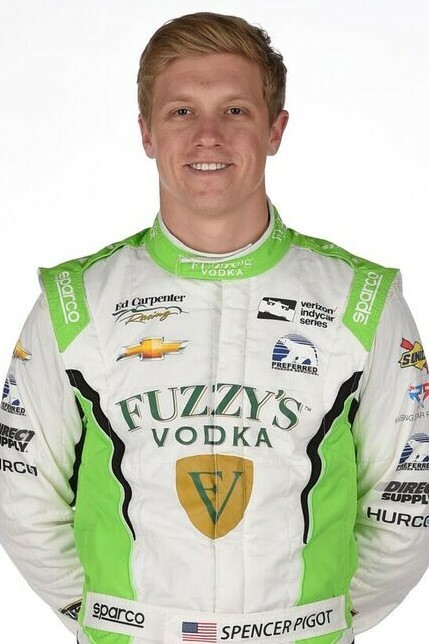 As the Series winningest driver, Pigot won four championships and 24 races in USF2000, Pro Mazda and Indy Lights in five years, culminating in the 2014 Pro Mazda and 2015 Indy Lights Championships. Spencer competed in the Indy 500 in 2015 and 2016. 2016 was Spencer’s rookie year in the Verizon IndyCar Series with Ed Carpenter Racing. And, he continued through the 2017 season driving the #20 IndyCar on the road and street courses. Spencer drove the 2017 Indy 500 for Juncos Racing and will compete full time in the Ed Carpenter Racing #21 car for the 2018 IndyCar season. In sportscars, Spencer competed in the WeatherTech SportsCar Championship in the #55 Mazda Prototype for the four endurance races in both 2016 and 2017 and is signed to drive that series for the Mazda Team Joest in 2018. Lawson is making his debut appearance at Kart4Kids this year to help the kids at All Children’s Hospital. Lawson like so many of our Pro-drivers started racing in Karts at the age of 8 and went on to win State, National, North American and four Grand National Championships. In 2005, he finished on the podium in his first Professional GT race. In 2006 Lawson was named the SPEED World Challenge (later PWC) Rookie of the Year and became the first person to win the SPEED GT Championship in his rookie season. In 2010 he won the IMSA CTSCC ST Championship with team Compass 360. Lawson won the 2011 Pirelli World Challenge Touring Car Championship as well as the PWC TC Manufacturers Championship again with team Compass 360. After joining the Black Dog Speed Shop Lawson won the 2013 Pirelli World Challenge GTS Championship with 6 wins that season. 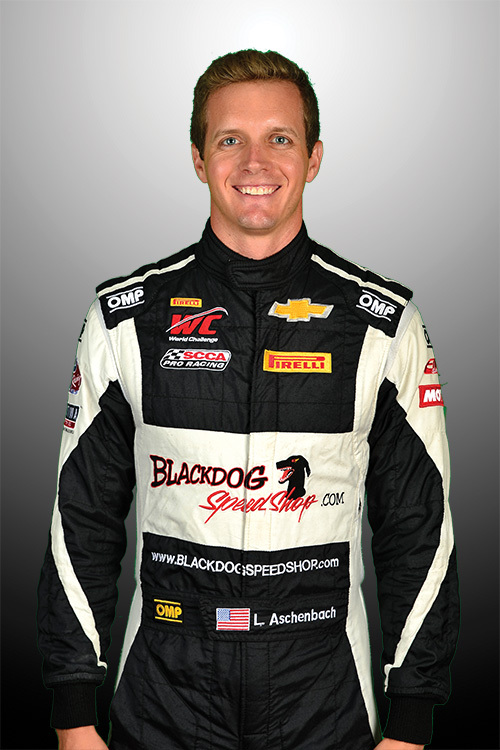 Lawson repeated as PWC GTS Champion in 2014 in his second season driving for Blackdog Speed Shop. The same year he won the 2014 Lamborghini Super Trofeo ProAm World Championship at the Sepang Circuit. In 2017 he won the PWC GTS Championship. In 2018 Lawson is driving the Black Dog Speed Shop #10 GT4 Camaro in PWC GTS class and the Michal Shenk Racing #93 Acura NSX GT3 in the IMSA WeatherTech SportsCar Championship. Shea will make her debut as one of our Pro-drivers this year. Shea caught the racing bug at 16 after attending the Richard Petty Experience. She gained valuable experience with SCCA Club Racing, entering the SCCA Pro Racing World Challenge. In 2011 she won the Long Beach Grand Prix becoming the first female to win a Touring Car race at the prestigious venue. In 2012 Shea joined Compass 360 driving in the PWC Touring Car championship. 2013 through 2017 she raced under her own Shea Racing in the Pirelli World Challenge in various classes TCB, TCA and TC, finishing in 2nd Place in the 2014 season in TCA Class with 5 wins and 10 podiums. Shea also drove in the 2017 Lamborghini Super Trofeo North America AM class racing series. 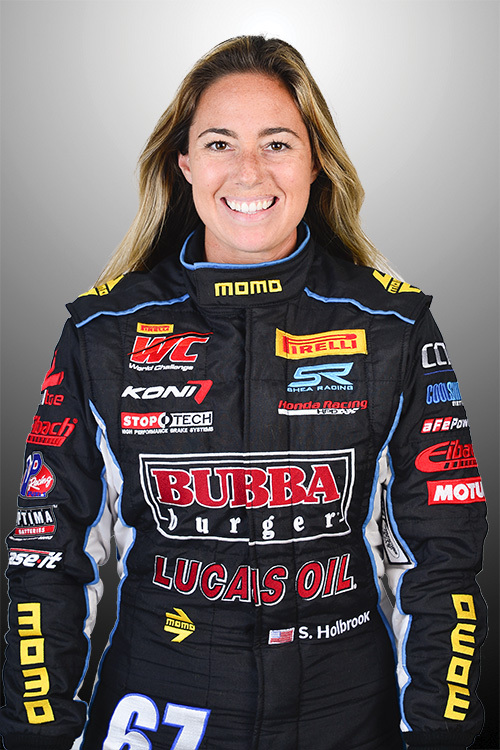 Shea continues to expand her racing career in 2018 in the Pirelli World Challenge series. Parker will join us for his first year helping the kids at All Children’s Hospital. As so many of our Pro-drivers, Parker started racing in Karts at the age of 10. Parker won numerous regional and national Kart championships during the 2012, 13 and 2014 seasons. Parker raced in the F1600 Formula F Championship in 2015. Parker, in 2016, moved to the Pirelli World Challenge GTS class driving a Ginetta G55 GT4 for the Performance Motorsports Group. Parker won Rookie of the Year after posting 10 top 5 finishes, 8 of which were on the podium while finishing 1st in class and 2nd overall. He ran in the IMSA Porsche GT3 Cup series in 2016 as well. In 2017 he ran in the Ginetta Driver Development Program in Europe and returned to the U.S. to compete in the final rounds of the PWC, scoring 3 podium results in the last 4 races. 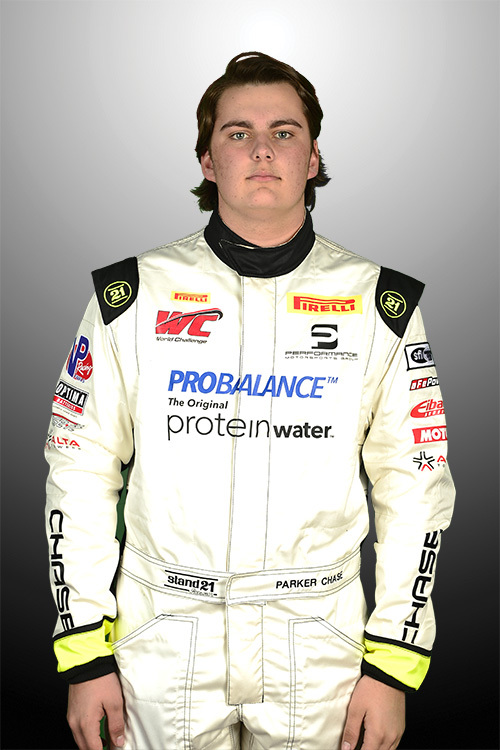 In 2018 Parker has joined TruSpeed AutoSport driving an Audi R8 GT3 for the full Pirelli World Challenge season. Spencer makes his 4th appearance with us this year. Regarded as a Porsche specialist, Spencer has amassed multiple victories in the American Le Mans Series and GRAND-AM Rolex Sports Car Series, including two GT class wins at The Rolex 24 Hours at Daytona. 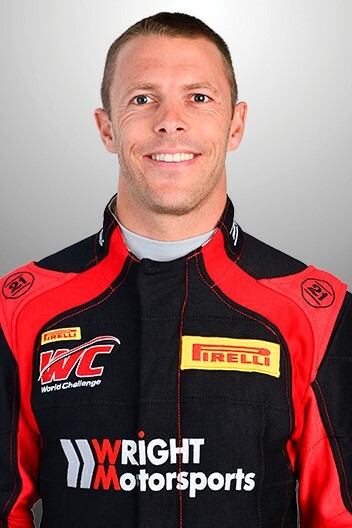 2006 to 2012 Spencer drove for TRG in the GRAND-AM Rolex GT series, GRAND-AM Continental Tire Sports Car Chal­lenge and American Le Mans Series GTC class. In 2014, Spencer raced the #45 Flying Lizard Porsche in the Tudor United Sportscar Championship GTD class and at Le Mans. In 2015 he raced with Park Place Motorsports in the #73 GTD entry with 2 wins at Laguna Seca and Road Atlanta. Also, in the CTSCC ST class with 4 wins and the Pirelli World Challenge with 1 win. In 2016 Spen­cer was back in the Rennsport One Porsche Cayman in CTSSC ST class where they finished 2nd in the BMW 200 at Daytona. And, in a new #16 GTD Lambo­rghini Huracan in the WeatherTech SportsCar Championship with the Drive For Change Racing team. 2017 saw Spencer in the Pirelli World Challenge GT with Magnus Racing and the WSCC with Alegra Motorsports. 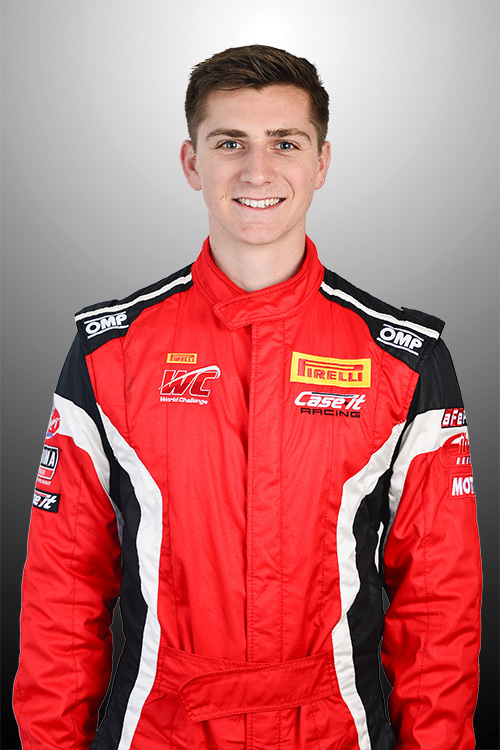 In 2018 Spencer raced Le Mans with Proton Competition and the WSCC with Park Place Motorsports and with TRG in the Pirelli World Challenge and the Continental Tire Sportscar Challenge. 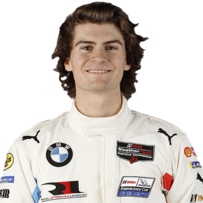 In 2019 Spencer will race in the WeatherTech Sportscar Championship and Rolex 24 with Magnus Racing driving the Lamborghini Huracan GT3 Evo. Spencer will race in the Michelin Endurance Cup races with Magnus Racing. Helio makes his debut this year at the Kart 4 Kids Pro-Am Kart Race to help the kids at All Children’s Hospital. Starting his racing career in Karts, as most of our Pro-drivers, Helio moved to the U.S. to compete in the Indy Lights Series in the 1996 and 1997 seasons. After a 2nd place finish in the 1997 Championship Series, Helio moved to the CART Series eventually signing with Roger Penske’s Team for the 2000 season. And the rest as they say is history. Helio has raced 21 seasons (1999-2017) in CART and IndyCar Series, and was the CART, Rookie of the Year in 2001. 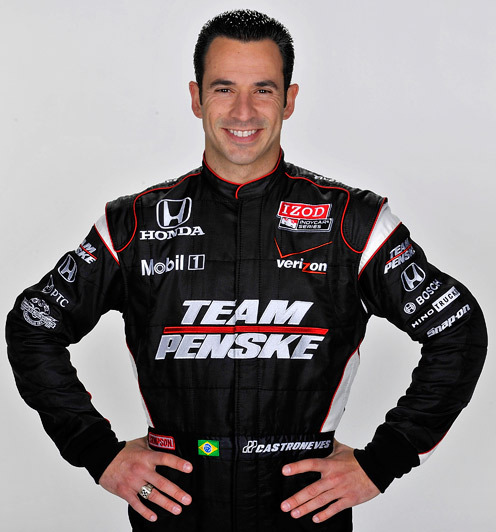 Helio has scored 30 race wins, 47 Pole positions and won the Indy 500 three times, in 2001, 2002 and 2009. He has finished the IndyCar Championship Series in 2nd Place four times, 3rd Place three times and 4th Place 5 times during his IndyCar career. 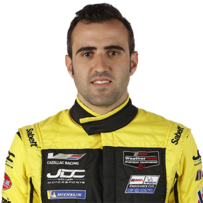 In SportsCar Racing Helio has competed in the Grand-Am Rolex SportsCar Series, IMSA WeatherTech SportsCar Championship among others. In 2018 Helio will compete again in the Indy 500. Ryan is joining the Kart4Kids Pro-Am Kart Race for the first time this year to help the kids at All Children’s Hospital. Ryan started in Karting wining multiple National WKA Championships which led him to the Barber Dodge Pro series. In 2003 he competed in various Champ Car World Series until Ryan joined the Rahal Letterman Racing team in the Verizon IndyCar Series in 2007. 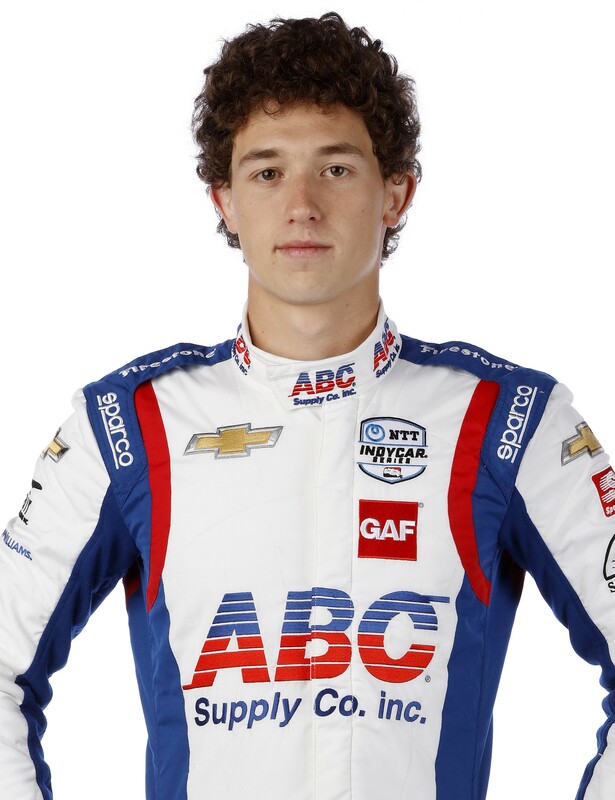 In 2010 Ryan joined the Andretti Autosport team and is still with them for the 2018 season. 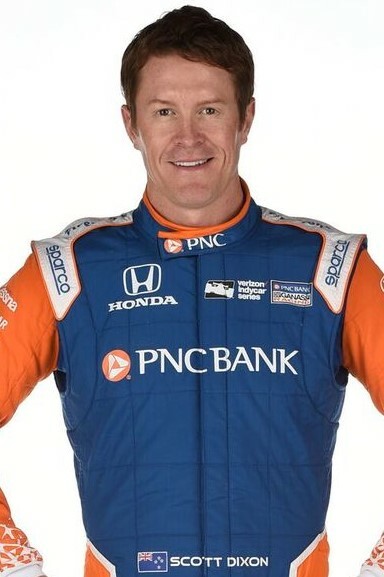 While racing the Verizon IndyCar Series Ryan has scored 14 wins and 35 podiums. Ryan was Rookie of the Year in 2007. 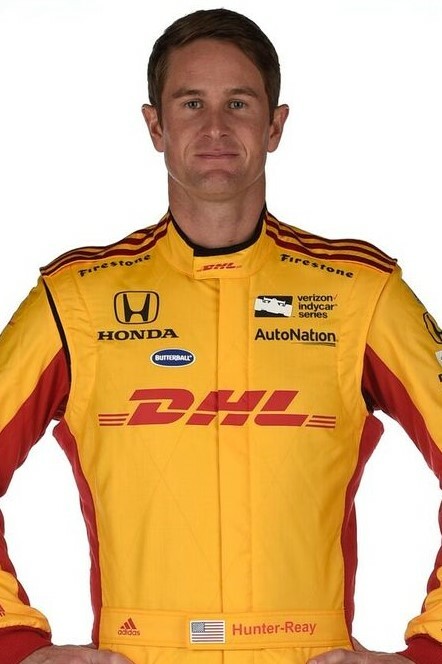 In 2012 he won the Verizon IndyCar Series Championship with 4 wins and 7 top 5 finishes. And, in 2014 Ryan won the Indianapolis 500. Over the years Ryan has competed in various SportsCar series including wins in the Grand-Am Rolex Sports Car Series and the American Le Mans Series. Zach is also back for his second Kart 4 Kids event, giving back helping the kids at All Children’s Hospital. Zack discovered a love for karting in 2007 at the age of 12. From there, he transitioned to Formula BMW. In 2010, he joined the Mazda Road to Indy series competing in the USF2000 National Championship when he was signed by Andretti Auto Sport as a developmental driver. Over the next four seasons Zach climbed the Mazda Road to Indy Ladder with Andretti Autosport competing in USF2000, ProMazda and IndyLights. 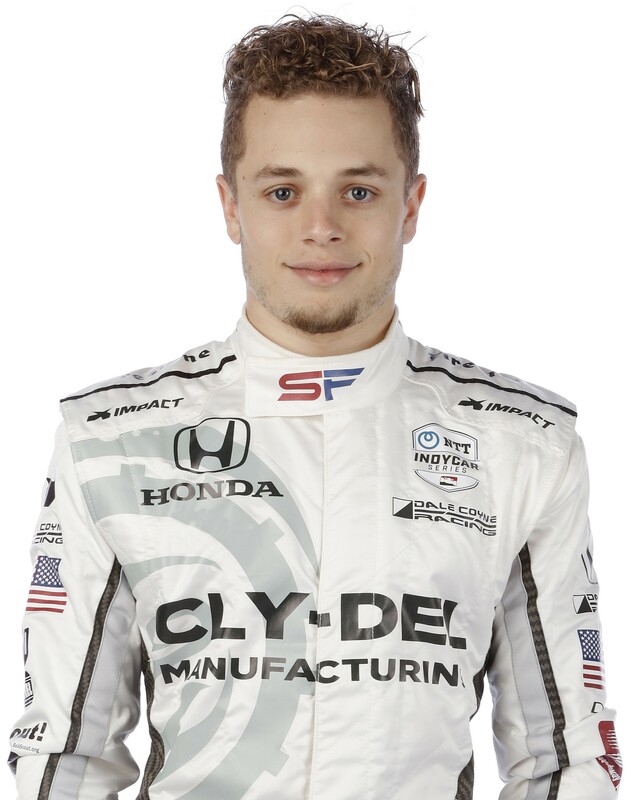 Zach has raced in the NTT IndyCar Series the last two years and will be driving the #26 Andretti AutoSport IndyCar starting in the Firestone Gran Prix of St. Petersburg for the 2019 season. British racing’s rising star Jordan King began karting in 2005, competing in National, European and World Championships, joining our Pro Racers team for the first time this year. After numerous race wins, pole positions and podium finishes, he moved up to acknowledged F1 proving ground GP2, determined to fulfil his ambition of becoming a grand prix racer. Performing at a high-level, Jordan caught the eye of the Manor Marussia F1 team, which put their faith in his ability by signing him as a development driver. 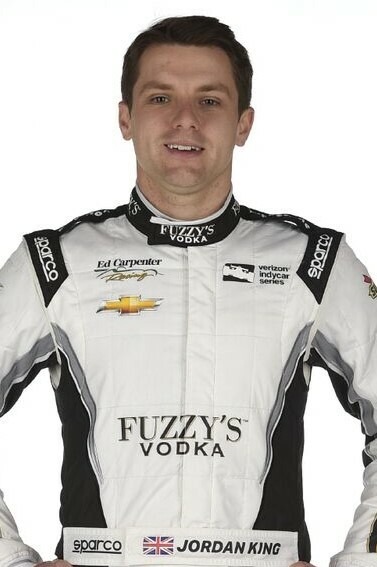 Joining Ed Carpenter Racing, Jordan will be contesting the street and road courses of the season. King is part of the FIA Institute and MSA (Motor Sports Association) Team UK driver-training programs – two organizations that actively promote and encourage the talent of tomorrow. He was named winner of the 2015 FIA Institute Driver of The Year within the governing body’s Young Driver Excellence Academy. Gabby Chaves is a Colombian-American pro racer who left the karting world for cars in 2007 and hasn’t looked back since. This is his first year participating in the Kart 4 Kids tournament and is a force to be reckoned with. In 2008 he made his pro debut in Formula BMW Americas and finished 4th in Formula BMW Pacific. In 2009 he competed in a full season of Formula BMW Americas for Euro-International and won the title, capturing 5 wins and 3 poles. He signed on with Belardi Auto Racing for the 2014 Indy Lights season and won the championship, capturing four wins (including the Freedom 100) and 11 podiums in 14 races. 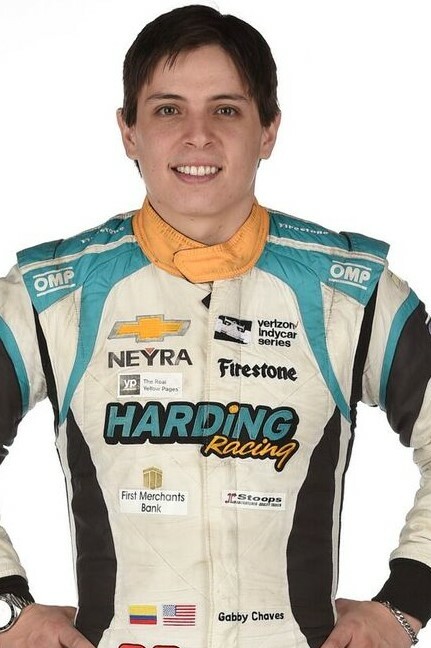 Gabby is racing in his 3rd season in the Verizon IndyCar Championship Series driving the Harding Racing #88. Chase Buscaglia, age 10, from Yardley, Pennsylvania has been racing for the Oaklane Quarter Midget Race Club for 5 years. Chase started racing Quarter Midgets, as a Novice, at the age of 5. He now enjoys racing in 3 classes: Senior Honda, Light 160, and his favorite Senior Animal. Chase has posted wins in each of his classes and has set Track Fast Time Records in both 2017 and 2018. Chase is excited and honored to be named as a Kart4Kids Youth Ambassador for 2019. 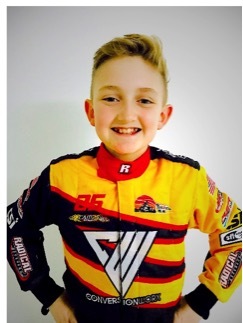 He is looking forward to representing Kart4kids at his home track (Oaklane Quarter Midget Race Club) as well as USAC.25 Regional and National races. Chase’s favorite race track is Pocono Raceway. His favorite professional series are both the NASCAR Cup and Indy Car series where he watches his favorite drivers Chase Elliot and Alexander Rossi. Chase aspires to one day be a professional race car driver. Chase will be representing Kart4Kids and ConversionWorx for the 2019 Race Season. Paul Owens III, age 12, from Quakertown, Pennsylvania has been racing for Oaklane Quarter Midget Race Club since age 5, in QMA and USAC. Paul is honored to be named a Kart4Kids Youth Ambassador for 2019. Paul races 4 classes: Light 160, Senior Animal, World Formula and Light Mod World Formula. Paul has set Track Records/Fast Times Locally, Regionally and Nationally. Paul has had many podium finishes on the Local, Regional and National Platform as well. Paul’s favorite track is Little Kalamazoo. Paul has two favorite driver’s Kyle Busch and Noah Gragson. Paul aspires to one day be a Professional Race Car Driver. 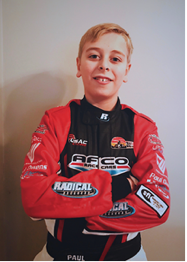 Paul will be representing Kart4Kids and AFCO Racing/Ultimate QM for the 2019 Race Season. Pato is making his first appearance at the Kart 4 Kids Pro-Am Kart race. Pato got his start racing Karts in Mexico and captured numerous championship titles there and in the States. Pato moved to Formula car racing in 2013, joining the Formula LATAM F2000 Series in Mexico, the Pacific F2000 Series in the U.S. and the Formula Renault 1.6 NEC Junior Series in Europe. At the age of 13 he captured his first formula car win at the famous Paul Ricard Circuit while competing in the competitive French Formula 4 series. In 2017 he won the Weathertech SportsCar Championship and the North American Endurance Cup, both in the PC class. In 2018, Pato won the Indy Lights Championship title on the strength of nine wins, 13 podiums and nine poles in 17 races. Pato is currently in negotiations for a IndyCar seat. Tristan returns for his second time to help the kids at All Children’s Hospital. Tristan won the Pro Mazda Series in 2011 and won the Indy Lights crown in 2012. 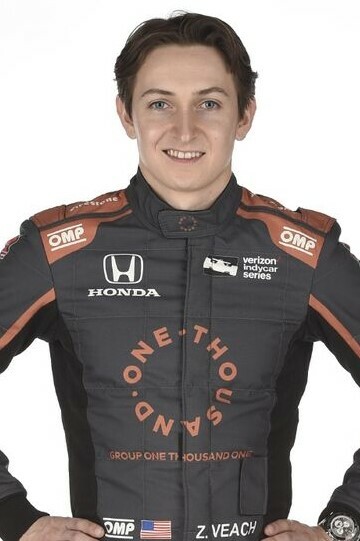 In 2013 Tristan moved to the Izod IndyCar Series driving for Schmidt Peterson Motorsports where he was Rookie of the Year. He spent the 2014 season driving Mazda Prototypes for SpeedSource. In 2015 Tristan went back to IndyCar, driving for Dale Coyne Racing. Tristan spent 2016 thru 2018 in the Weathertech SportsCar Series mostly driving Prototypes, including a 2nd place finish in the Liqui Molly Bathurst 12 Hour race. 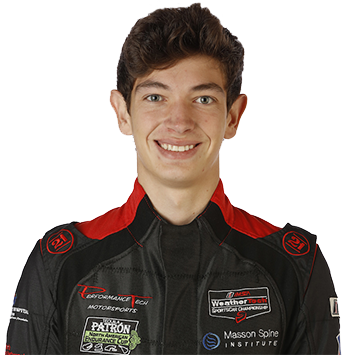 Tristan started this year with the Rolex 24 at Daytona in the DPI class with JDC-Miller Motorsports. This is Colton’s first year a the Kart 4 Kids Pro-Am Kart Race and as usual started at a young age racing karts. He quickly moved into open wheeled racing including the Pacific F1600 series which he won in 2013. Colton joined the Mazda Road to Indy series in 2014, but at the end of the season he made the decision to move to Europe. 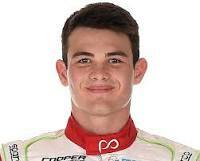 In Europe, Colton finished third in the British F4 championship in 2015 and third in the Euroformula Open F3 championship. He returned to the U.S. in 2017 to compete in a new Indy Lights team, Andretti-Steinbrenner Racing and finished third in the title chase in his rookie season. In 2018, he finished second in the championship with three poles, four wins and 13 podiums in 17 races. Colton starts this year in the NTT IndyCar Series with Harding Steinbrenner Racing. James brings Hinchtown to the Kart 4 Kids Pro-Am Kart Race to help the kids at Johns Hopkins All Children’s Hospital. James started his racing career in Karting as do most Pro drivers. James moved into the Road to IndyCar Series in 2003 with numerous wins in F2000, BMW Rookie of the year(2004), culminating in a 2nd place finish in the 2010 Firestone IndyLite Series. James began his IndyCar career with Newman/Haas Racing as the 2011 Rookie of the Year. He scored his first win at the 2013 season opener at St. Petersburg, followed by a win in Brazil and then at the Iowa Corn Indy. James scored his 4th win at the inaugural Grand Prix or New Orleans but is sidelined the rest of the season after a crash in the practice session for the 2015 Indy 500. James returned to IndyCar in 2016 with Schmidt Peterson Motorsport and scored a win in both the 2017 and 2018 seasons. 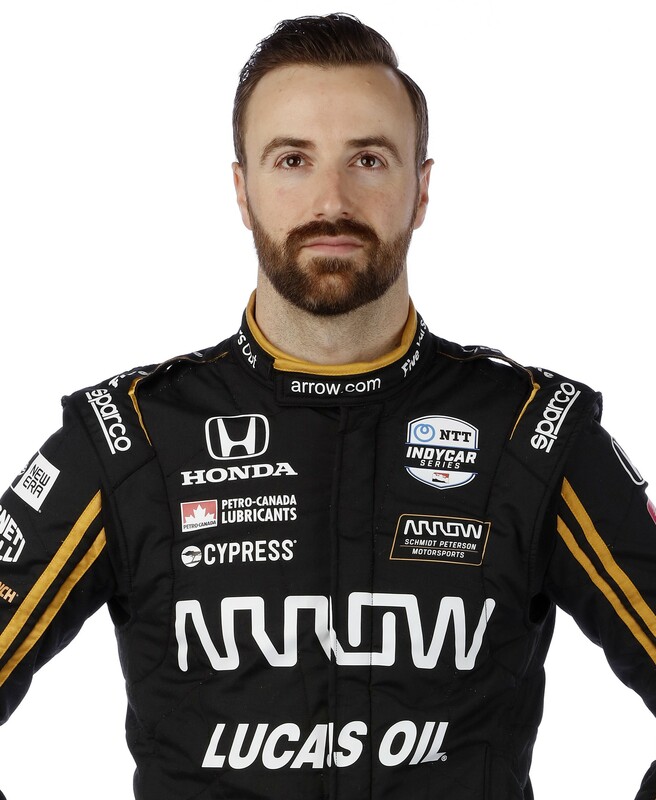 James will start the 2019 NTT IndyCar Series with Schmidt Peterson Motorsports. This will be Ben’s first appearance at the Kart 4 Kids Pro-Am Kart Race to help the kids at Johns Hopkins All Children’s Hospital. Ben had a successful career in the European karting series, winning a number of championships and individual races. Ben moved to the Formula Renault 3.5 Series in 2006 and finished second in the championship in 2007. In 2008 Ben ran in the GP2 Series, first in Europe and later the Asia. In 2009 and 2010 he competed in the Euroseries 3000 and Superleague Formula respectively. Ben raced the European Le Mans Series in the LMP2 class with DragonSpeed Racing 2016, 2017 and 2018. He raced the WeatherTech SportsCar Championship, the FIA World Endurance Championship and the 24 Hours of Le Mans in 2017 and 2018/2019 seasons. DragonSpeed has announced that Ben will compete in 5 IndyCar races, including the 103rd Indianapolis 500, in 2019. Matheus will join us this year making his first appearance at the Kart 4 Kids Pro-Am Kart Race to benefit All Children’s Hospital. Matheus began karting in 2009 at the age of eleven, had a successful karting career and moved up to single-seaters in 2014. That year in the Brazilian F3 Championship he finished the season in second place with 2 wins and 9 podiums. In 2016 Matheus driving for Double R Racing won the British Formula 3 Championship scoring four wins, two poles and six fastest laps, taking the title at the final round. In 2017, Matheus signed with Carlin for the Indy Lights Championship. During his first season, he picked up his first podium at the Grand Prix of Indianapolis before taking pole and winning the Freedom 100 under two weeks later. A.J. Foyt Enterprises hired Matheus to drive the No. 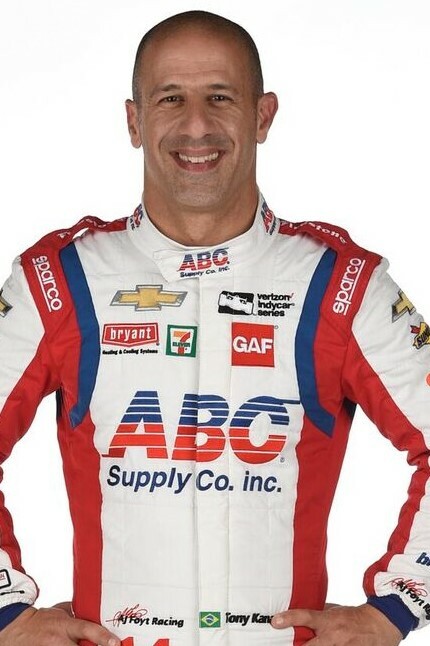 4 Chevrolet for the 2018 season, teaming up with veteran Brazilian driver Tony Kanaan and making his NTT IndyCar debut at the Firestone Grand Prix of St. Petersburg on March 11, 2018. Matheus makes his first start in 2019 at the Firestone Grand Prix of St. Petersburg. We welcome Santino to his first Kart 4 Kids Pro-Am Kart Race to benefit the kids at All Children’s Hospital. At 14 years old, Santino made his professional debut in the SBF2000 Winter Series season, winning three out of ten races. In 2014 Santino competed in five German Formula Three races, scoring a 2nd place in his fourth race. He also completed three British Formula 3 races scoring a pole and two wins. Santino is the youngest winner in British Formula 3 History. In 2015 Santino raced in the Toyota Racing Series in New Zealand and the European Formula 3 after. He ran the Macau Grand Prix in 2014 and 2015 and he drove the GP3 Series in both 2016 and 2017. Santino made his Formula 2 debut during the 2017 season and remained with the Trident team for most of the 2018 season. 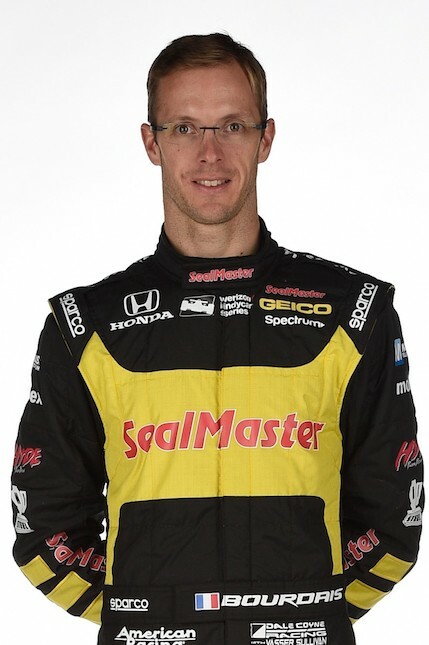 He finished 2018 making his NTT IndyCar Series debut in four races with Dale Coyne Racing. Santino will continue to run in the #19 car for Dale Coyne Racing in the 2019 season. Felix began his career in karting, finishing second in the Nordic Championship in 2005. In 2007 he moved up to single-seat racing in the Asian Formula Renault series winning Rookie of the Year. In 2008 Felix won 10 out of 15 races to claim the 2008 Formula Asia 2.0 title. 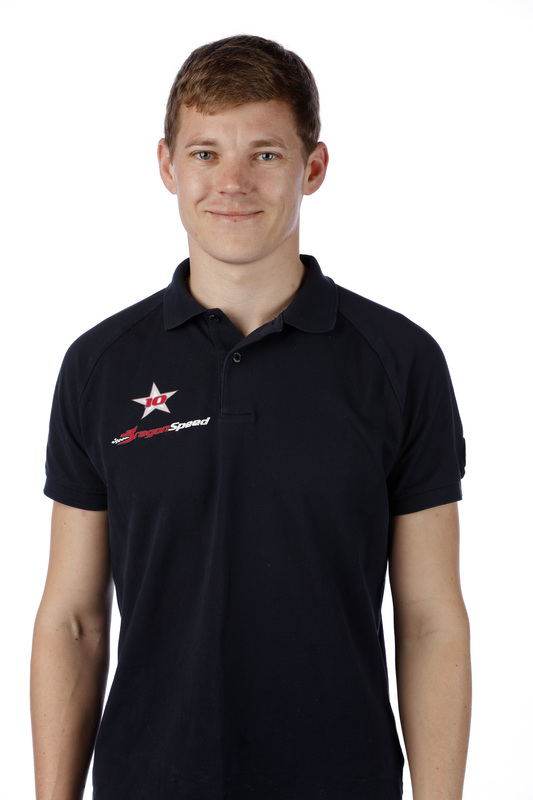 In 2009, he returned to Sweden and won both the North European Zone and Swedish Formula Renault championships. Felix won two races with eight podium finishes in the 2010 German Formula 3 Championship. In 2011, Felix progressed into Formula 3 Euro Series with German outfit Mücke Motorsport. In 2012, he dovetailed a second season of Formula 3 Euro Series racing with an attack on the revived FIA European F3 Championship, in which he finished third overall, winning four out of the final six races. In 2013, he competed again in the restructured FIA Formula 3 European Championship, finishing second overall with ten wins and 18 podiums. Felix made his debut in the prestigious Macau Grand Prix street race in 2010. He ran the Macau Grand Prix again in 2012 and logged a second place finish. In 2014, Felix won the end-of-season Formula 3 world finale in Macau. Having won each of the major F3 standalone events, Felix finally won the 2015 FIA F3 European Championship title. He then brought the 2015 season to a perfect end by repeating his Macau Grand Prix win of the previous year, becoming only the second driver in history to win the event twice. In 2016 Felix ran the first half of the Indy Lights Series before joining Mahindra Racing in the ABB Formula E Series for 2016, 2017 and 2018. 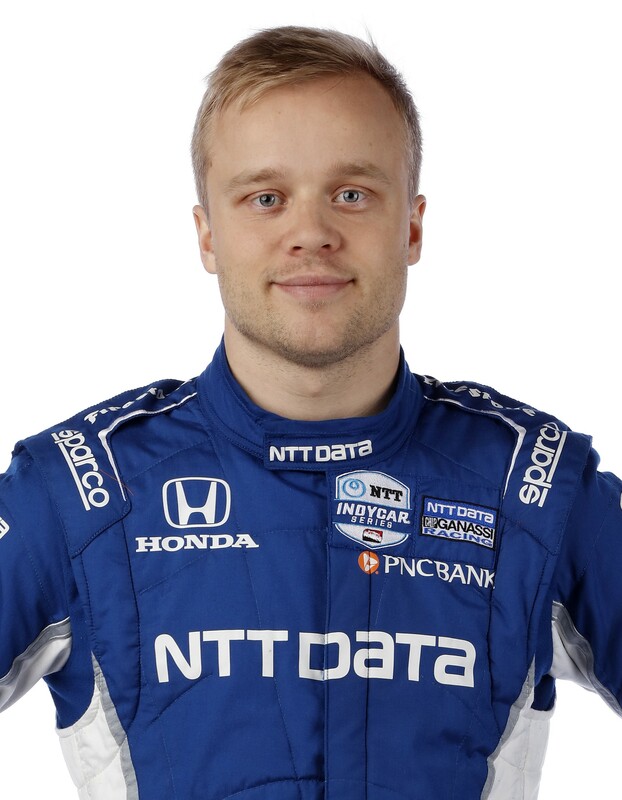 In 2019 Felix has joined Chip Ganassi Racing for the NTT IndyCar Series. After building an extensive resume in karting from age of 7, Kyle advanced to formula cars with Skip Barber in 2009, winning the Western Region Rookie-of-the-Year title, finishing 2nd overall in the 2009-10 championship. Kyle joined World Speed Motorsports and captured the Pro Mazda class championship in the 2012 Formula Car Challenge. He made his professional open wheel racing debut in September 2012 in Star Mazda. Kyle finished seventh in the 2013 Pro Mazda Championship and sixth in 2014. He moved up to Indy Lights Presented by Cooper Tires in 2015. In 2016, Kyle took third place in the final championship standings, with victories at Phoenix and Mazda Raceway Laguna Seca and eight total podiums. Kyle won the 2017 Indy Lights title and the Mazda Scholarship that helped him graduate into the Verizon IndyCar Series with three wins, three pole positions and eight podium finishes in 16 races. 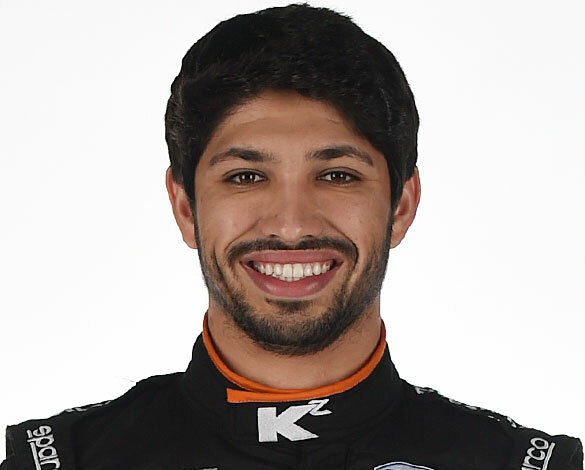 In 2018 Kyle joined Juncos Racing in the NTT IndyCar Series and will drive the #32 car for Juncos Racing in 2019. 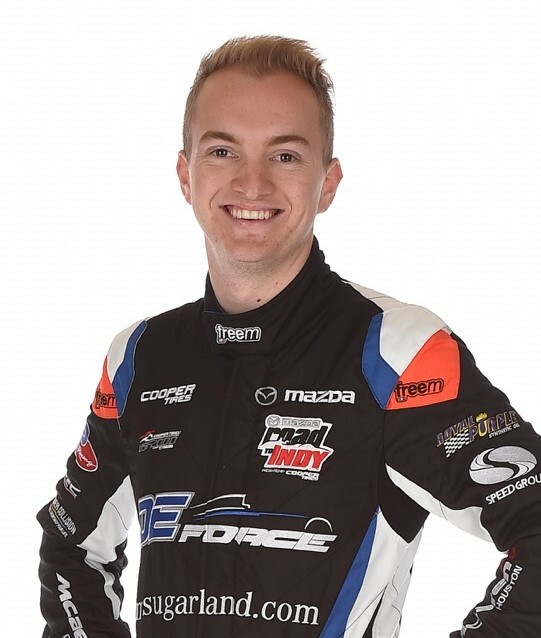 Kory raced the Pro Mazda Championship Presented by Cooper Tires in 2016 for DE Force Racing and the FIA Formula 4 Nacam Championship in 2016-2017. In 2017 he also raced 8 races in the F4 US Championship Powered by Honda – SCCA Pro Overall. Kory raced 14 races in the 2017 Cooper Tires USF2000 Championship Powered by Mazda as well as 15 races in the 2017 Castrol Toyota Racing Series with MTEC Motorsport. Kory drove 6 races in the 2017-2018 FIA Formula 4 Nacam Championship and 4 races in the 2018 F4 US Championship Powered by Honda. Kory raced 2 races in the 2018 Pro Mazda Series and 14 races in the 2018 Cooper Tires USF2000 Championship Powered by Mazda. To date in the 2018-19 FIA Formula 4 Nacam Championship Kory in two races has scored one win and pole position.